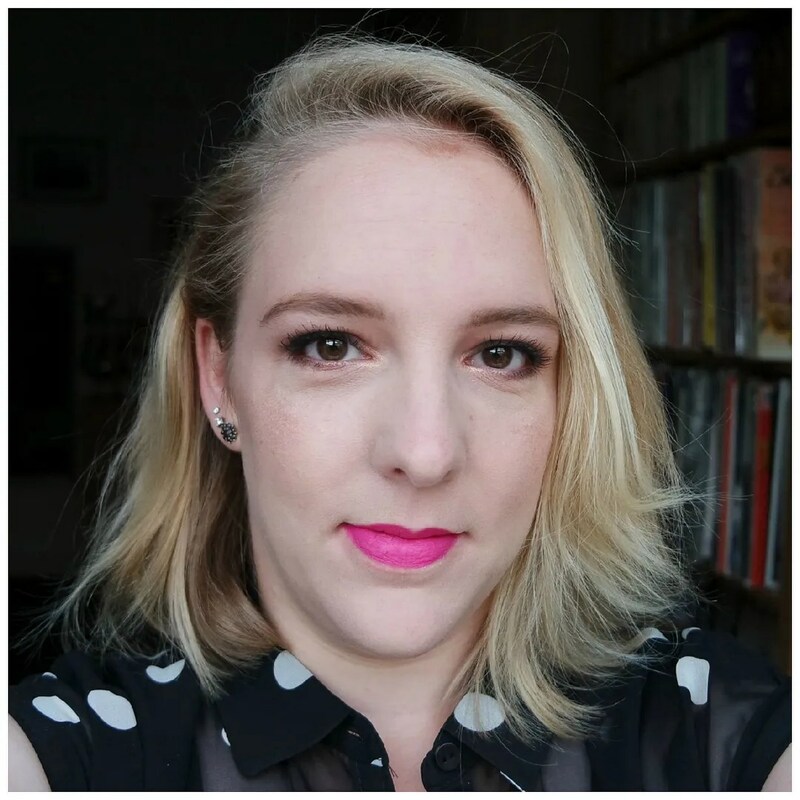 Highest on my US make up wishlist? Quite possibly the Lorac Pro 2 palette. I passed up on number 1 when I was in the States 3 years ago when the brand was still available at Sephora. 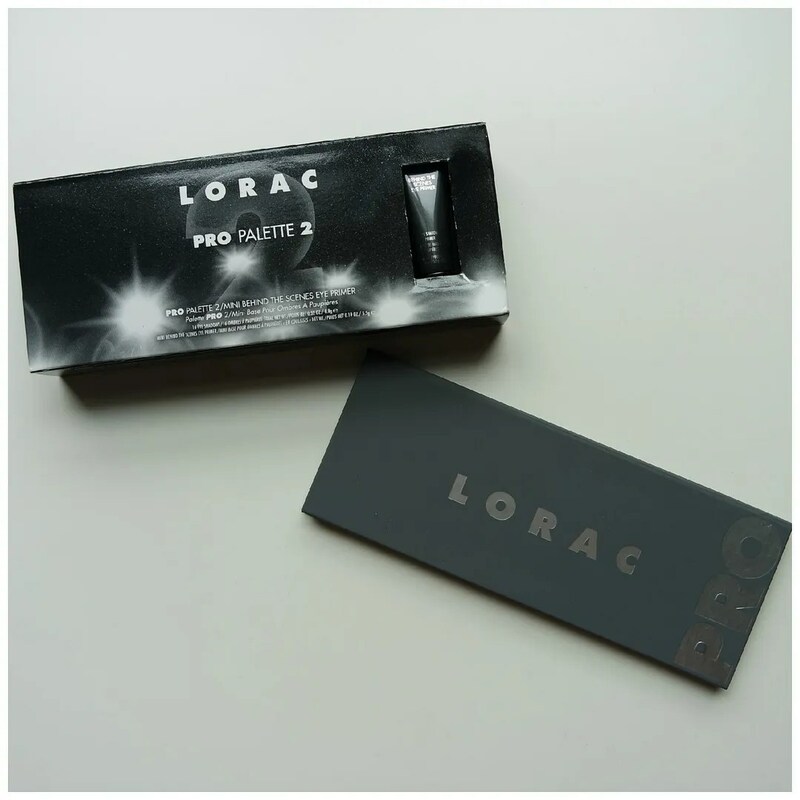 But then I saw the Pro 2 and new I had to track down an Ulta during my travels to buy this. For a while I was still not sure whether I preferred the number 2 over the original, but I watched quite a few comparison video’s and looked up blog posts and I figured that the Pro 2 had more to offer to me in terms of color selection. It is a different take on a neutral palette and that’s why I went with this one. Lorac moved from Sephora to Ulta and that made this palette a lot harder to get. Where Sephora is EVERYWHERE you go in the States, Ulta isn’t. Often the store is only located in shopping areas far outside of town and thus I had never set foot in one. But then I found out that there would be one in Miami only 30 minutes away from my hotel and so I knew I had a chance at finding this. 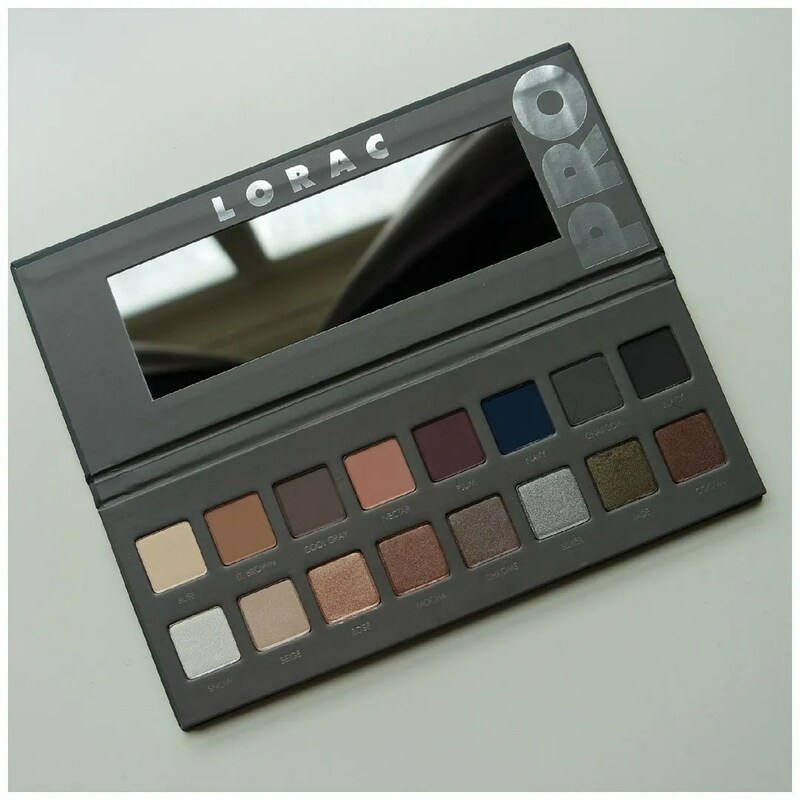 I had another browse of the Lorac palettes and decided that yes, this was the one I preferred. The Lorac palette retails for 42 dollars excl. tax from Ulta and several other retailers that are hard to get to when you live outside the US. However, I just found out that Amazon.com sells and ships Lorac to The Netherlands. 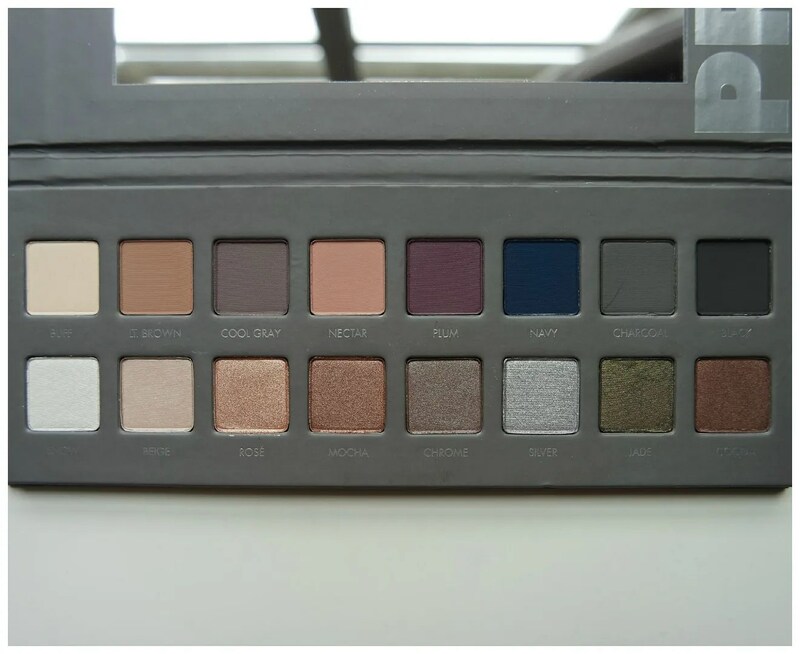 The palette than costs €55 euros, which includes tax, duty and shipping costs and shipping should take up to 14 business days. 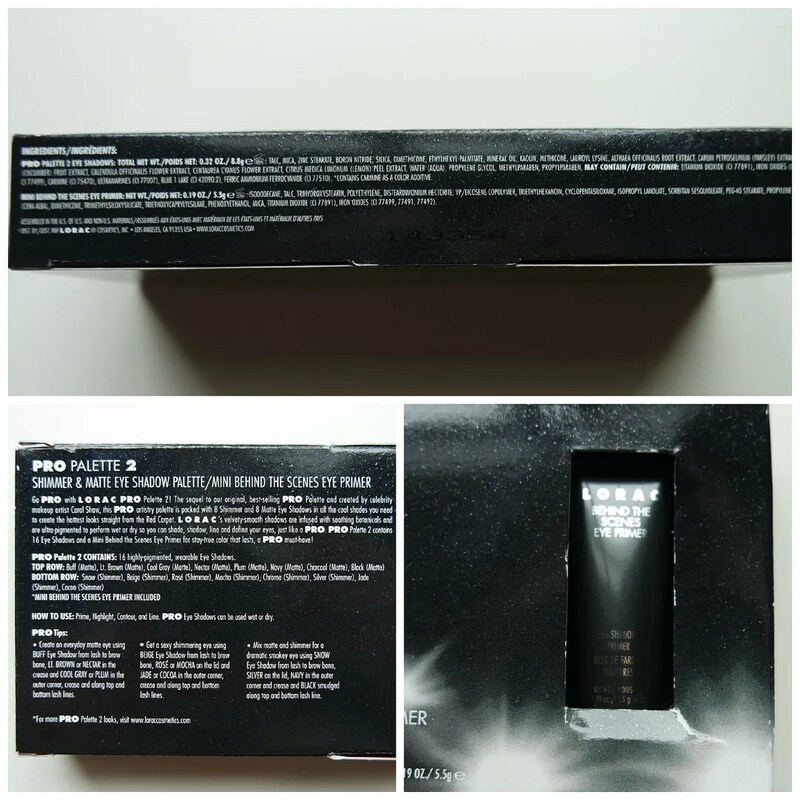 It contains 8.8 grams of product and comes with a free Behind the Scenes eye primer. The palette comes in a bulky looking black box. Looks can be deceiving as the box suggests the palette is a lot bigger than it actually is. The reason for the bulk is the primer that is packaged in a little window off to the side. Because my palette spent some time in my bag being lugged around the US and then back home the box got a little beaten up, but you get the idea. 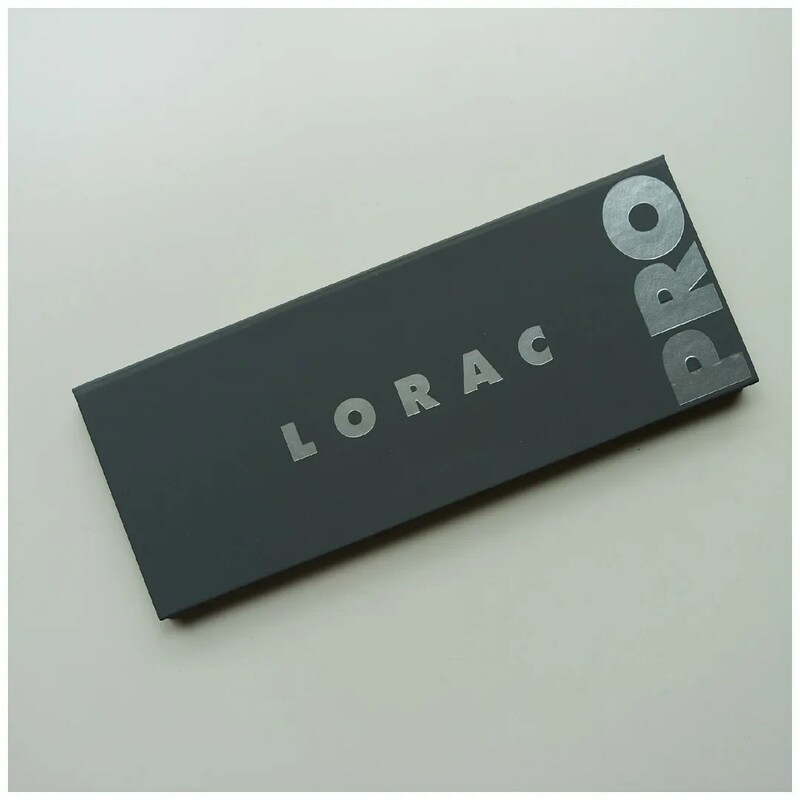 Go PRO with LORAC PRO Palette 2! The sequel to our original, best-selling PRO Palette and created by celebrity makeup artist Carol Shaw, this PRO artistry palette is packed with 8 Shimmer and 8 Matte Eye Shadows in all the cool shades you need to create the hottest looks straight from the Red Carpet. 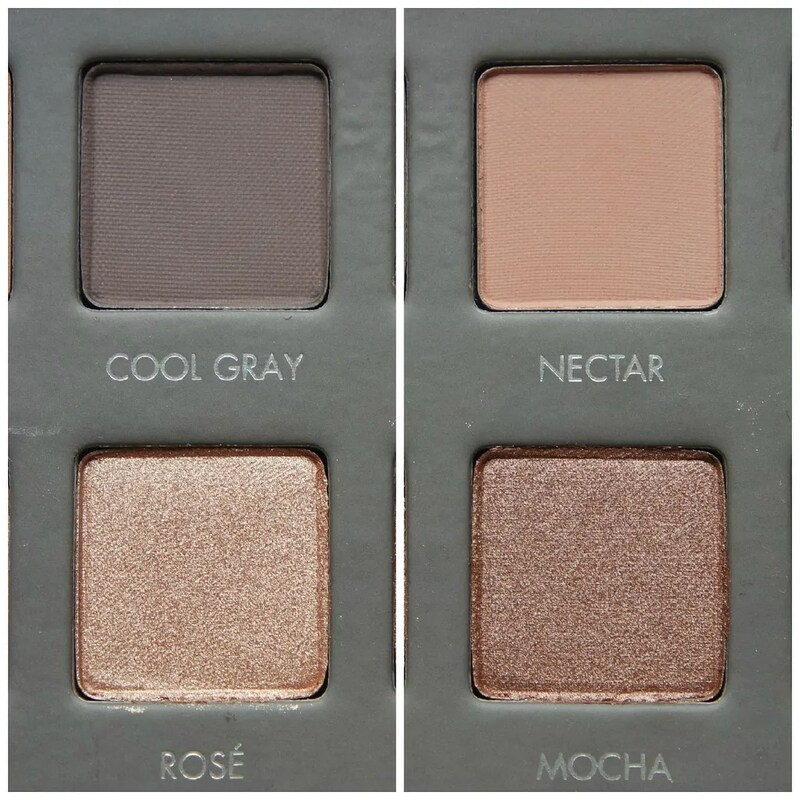 LORAC’s velvety-smooth shadows are infused with soothing botanicals and are ultra-pigmented to perform wet or dry so you can shade, shadow, line and define your eyes, just like a PRO. PRO Palette 2 Contains 16 Eye Shadows and a Mini Behind the Scenes Eye Primer for stay-true color that lasts, a PRO must-have! 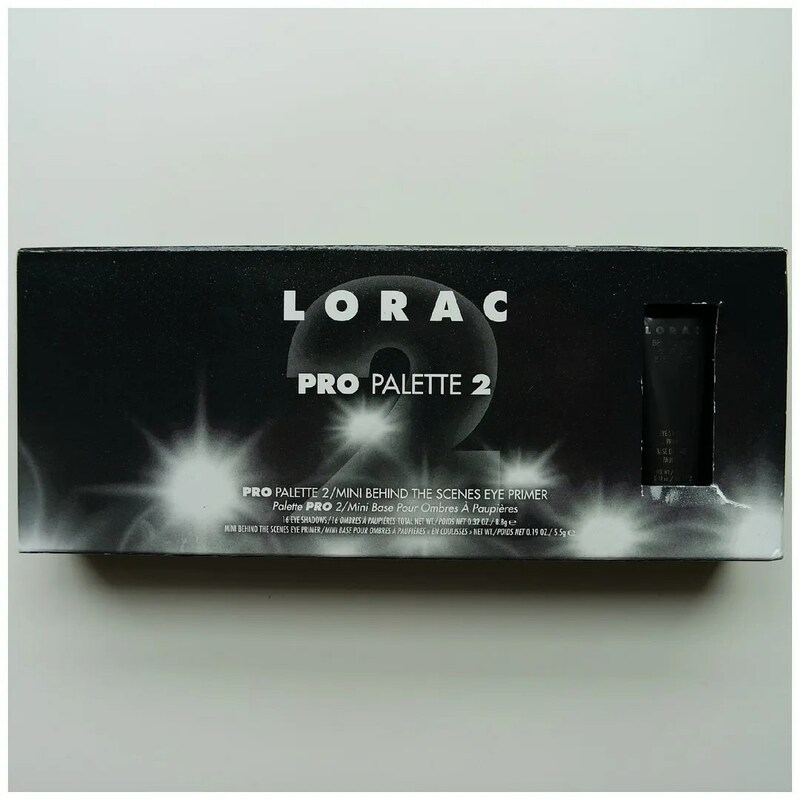 PRO PALETTE 2 EYE SHADOWS: Talc, Mica, Zinc Stearate, Boron Nitride, Silica, Dimethicone, Ethylhexyl Palmitate, Mineral Oil, Kaolin, Methicone, Lauroyl Lysine, Althaea Officinalis Root Extract, Carum Petroselinum (Parsley) Extract, Cucumis Sativus (Cucumber) Fruit Extract, Calendula Officinalis Flower Extract, Centaurea Cyanus Flower Extract, Citrus Medica Limonum (Lemon) Peel Extract, Water (Aqua), Propylene Glycol, Methylparaben, Propylparaben, May Contain: Titanium Dioxide (Cl 77891), Iron Oxides (CI 77491, CI 77492, CI 77499), Carmine (CI 75470), Ultramarines (CI 77007), Blue 1 Lake (CI 42090:2), Ferric Ammonium Ferrocyanide (CI 77510). *Contains Carmine as a Color Additive. Like I said before, judging by the box, I expected this palette to be bulkier. In fact, it is only a few millimeters thick and made of a very sleek looking cardboard packaging. There isn’t any sort of closure and the lid is covered with a large mirror. This palette doesn’t come with a brush, but instead all the space is taken up by 16 different eye shadows: 8 mattes, and 8 shimmers. The cardboard doesn’t feel too sturdy, so I don’t think this is the type of palette I would travel with. Cardboard can easily rip or tear and the lack of a true closure means that is could potentially open up in your purse or make up bag. And that is a shame, because the colors in the palette are great for every day make up looks that can be spiced up with some pops of color. 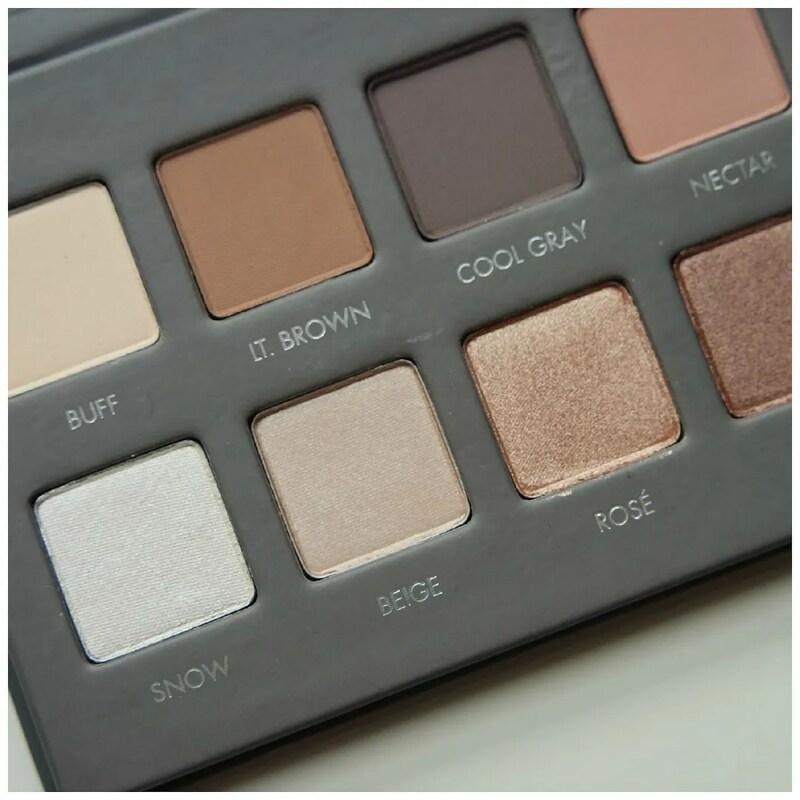 The overall tone of this palette is more cool toned. Now since I can do both warm or cool tones, as I have quite neutral skin, I thought this would be a good addition. Most neutral palettes are quite warm toned and I actually love cool tones on me more than warm as I feel they go better with my pale skin which I have 75% of the year. To prove my point: my favorite Naked palette by Urban Decay is Naked 2. 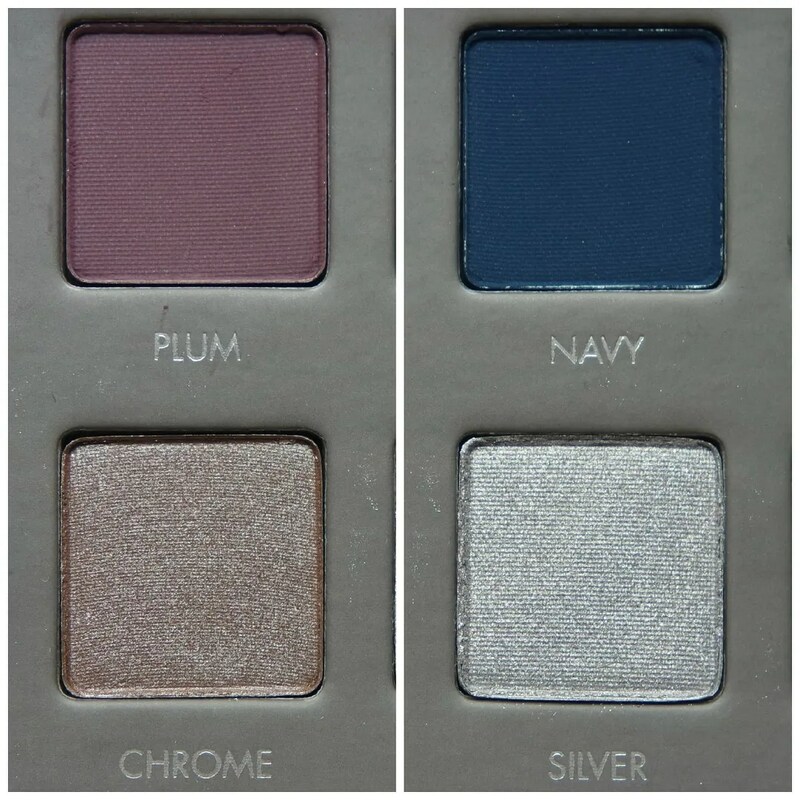 The way the palette is laid out, there can be no mistake between the matte and shimmer shades. The top row is all matte and the bottom row is all shimmer. 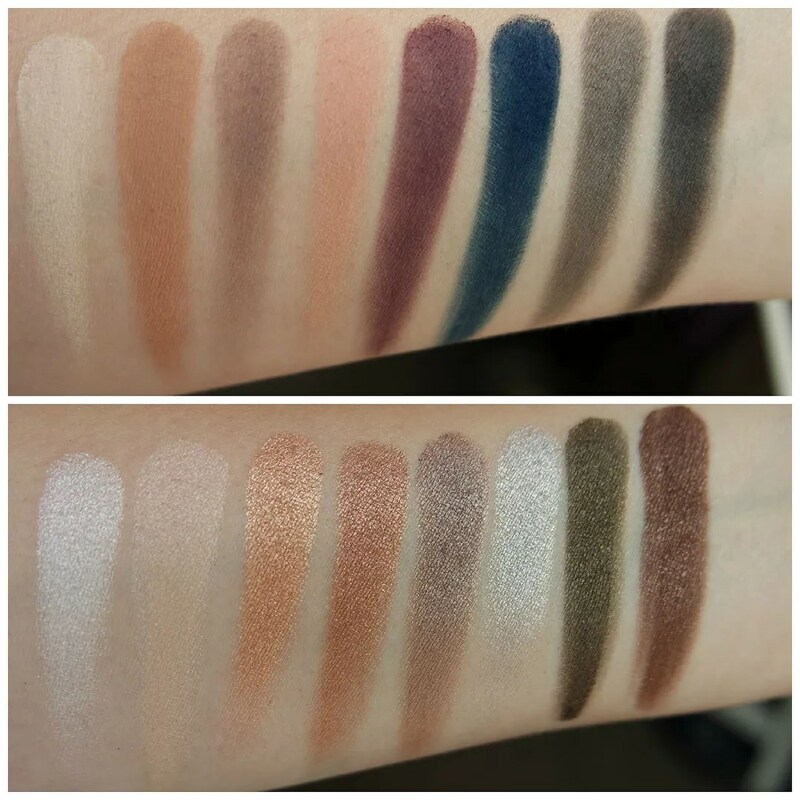 In the original Pro palette the colors in the top and bottom row seem to correspond a bit more and that looks almost as if you’re getting a matte and shimmer shade in the same tone. With this palette that is not so much the case. The shade range starts lightest on the left and darkest to the right. And I think you can easily see why this palette appealed to me at once. There are some great shades in here: from good highlight shades to perfect crease colors, to neutral overall lid shades to deeper shades such as dark brown, olive green, plum and navy. 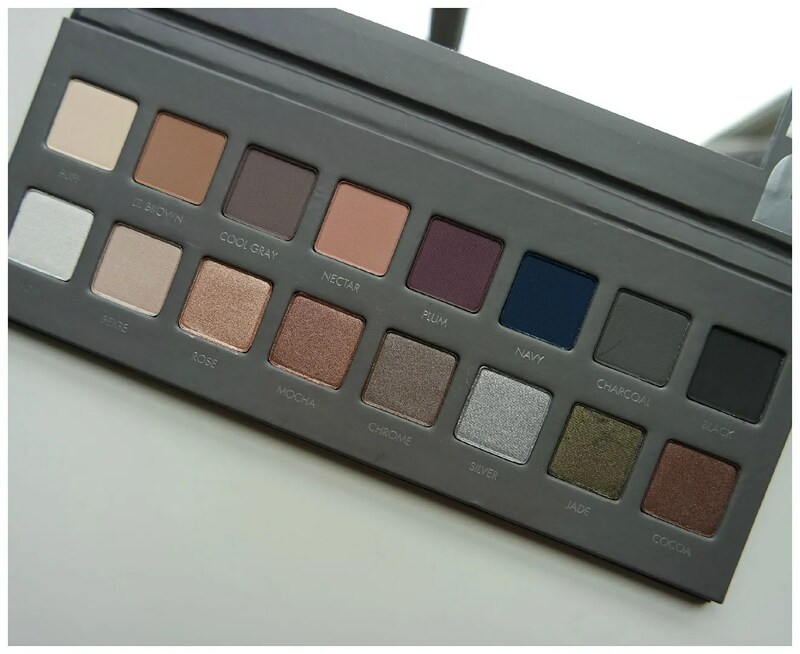 This palette also comes with a dark grey and a black which also make this palette perfect for creating darker, smokey looks. All in all, I felt this palette to be far more versatile than it’s older sister. Let’s have a look at the colors in close up. 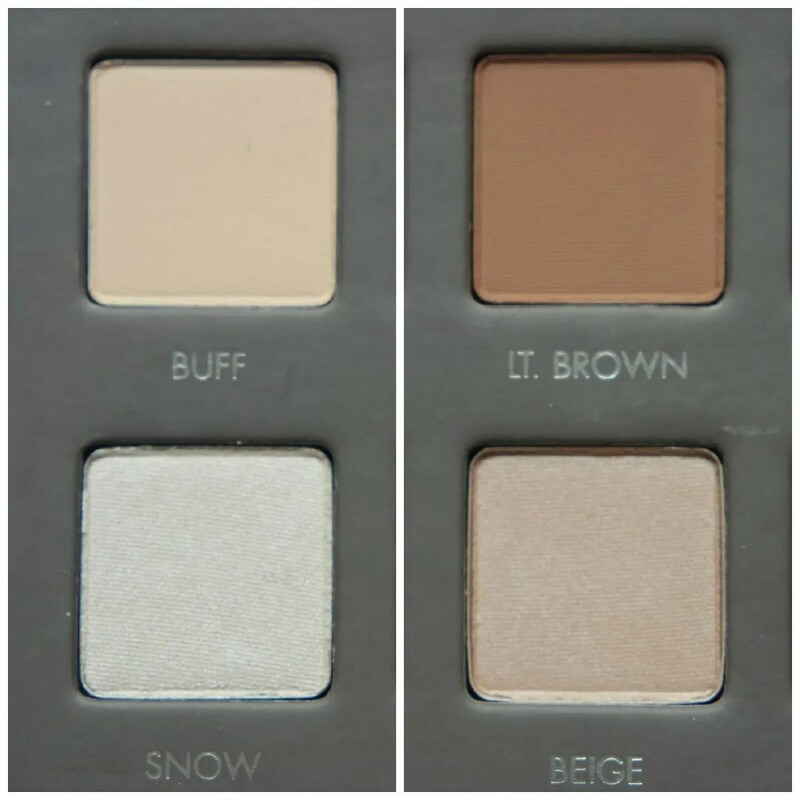 Buff: a cream matte, i.e. a perfect brow bone shade. Snow: a shimmery white, i.e. that other brown bone shade that is also pretty in the inner corner. Light brown: a matte light brown, i.e. the crease shade of all crease shades, but of course also pretty all over the lid or on the lower lash line. Beige: a shimmery champagne, i.e. the shimmer highlight of all shimmery highlights which can be used all over the lid, as a highlight or on your lower lash line for that extra bit of sparkle in your life. Cool gray: a matte cool toned grey that has a hint of purple to it, i.e. that other perfect crease color. Rosé: a shimmery dusty rose, i.e. 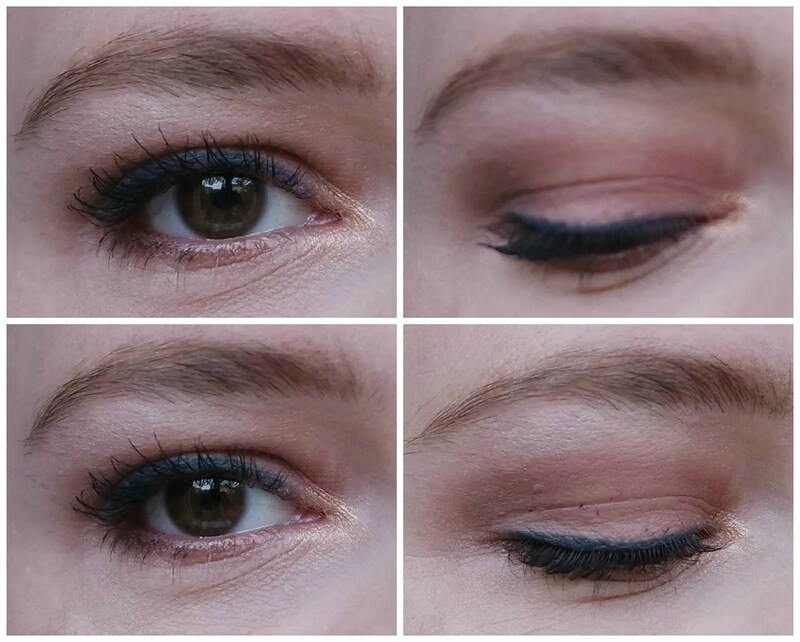 all over lid shade that goes nicely in inner corners with smokey looks. Nectar: a matte peach shade, i.e. my favorite shade in the palette and the reason why I fell in love. It can be worn all over the lid, on the brow bone, on the lower lash line, in the crease and not unimportantly: it is a great shade for blending out. Mocha: a shimmery medium toned brown, i.e. all over lid shade, crease shade, outer V shade and lower lash line perfection. Plum: a matte plum, i.e. what’s in a name. 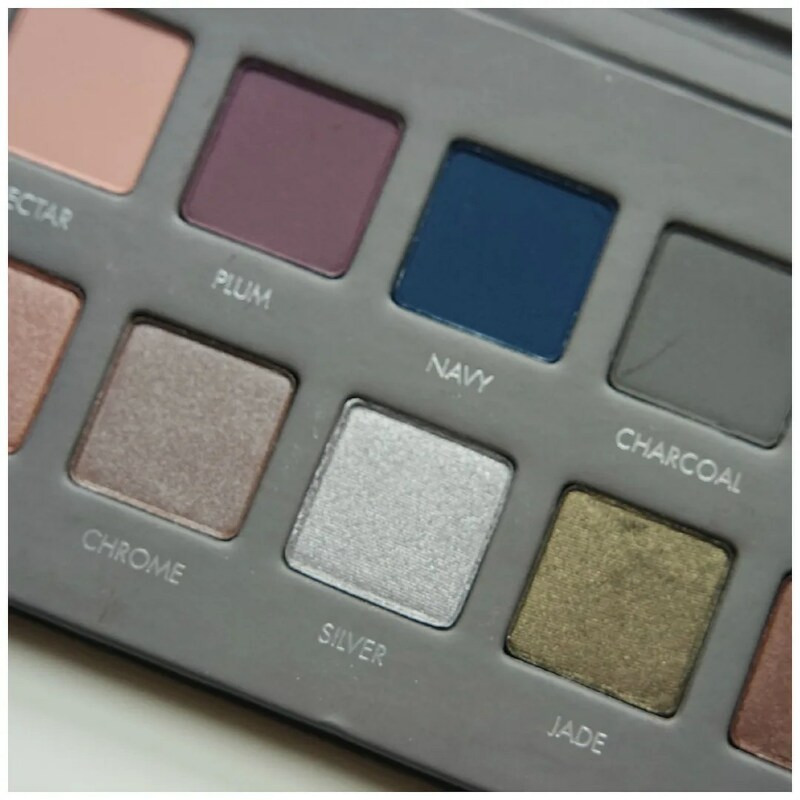 Chrome: a cool toned shimmery taupe, i.e. all over lid shade, crease shade and lower lash line shade. Navy: a matte navy, i.e. that other shade that sold the palette to me. You’ll see why when you see the swatch below. Silver: a shimmery silver. Not my favorite shade but I think this will be pretty come winter time. Charcoal: a matte deep grey, i.e. 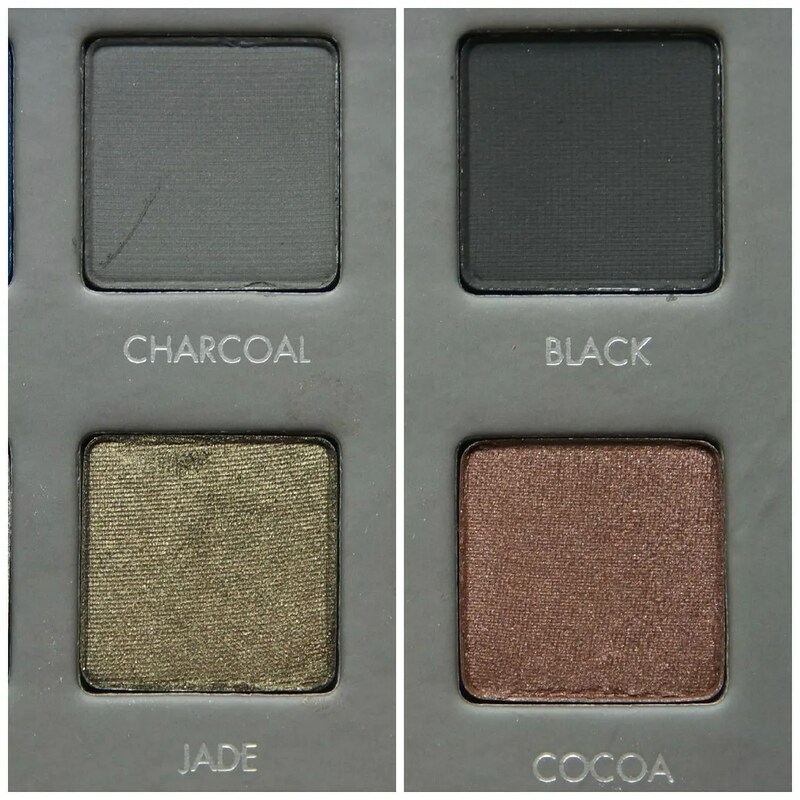 the smokey shade for those deeper, darker looks. Jade: a shimmery olive green, i.e. 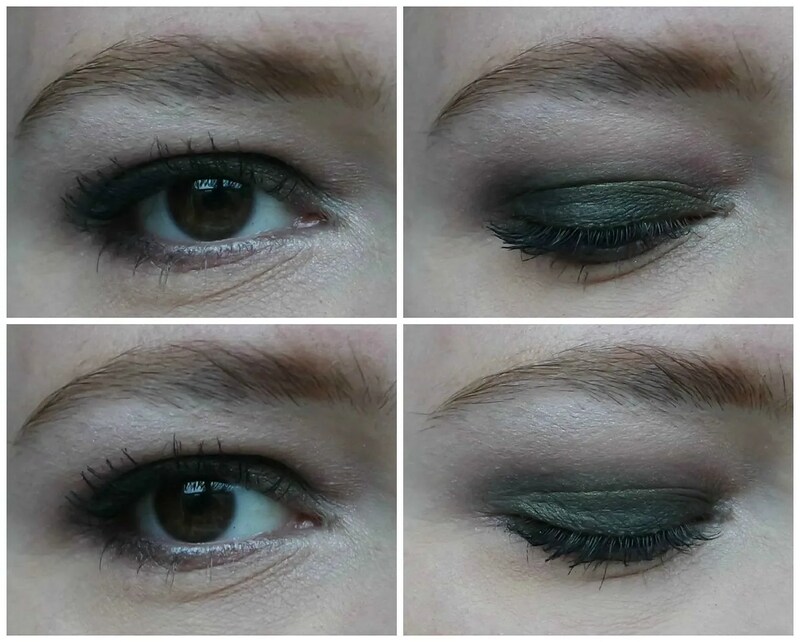 all over lid shade, but also a great shade for a different take on a smokey eye look. Black: a matte black shade, i.e. a great liner shade. Cocoa: a shimmery dark brown, i.e. perfect in the crease, outer v, lower lash line and as a liner. As you can see these shadows are incredibly pigmented. The only shade that I feel is a bit of a let down is the black shade. It is more like a deeper grey than a true black to me. Every other shade, be it matte or shimmer, light or dark is a perfectly pigmented shade that is easy to blend. The texture of these shadows is incredibly soft, so you do have to tap off your brush as these easily produce fall out. On the eye, these shadows work like a dream: with a primer they stay on all day and I have had no trouble creating a different look for every day of the week. These are two different looks I created before heading out to work. Yes, I got a haircut! I’m still getting used to styling it so excuse the frizz up top. Most of my make up here consists of newly purchased products. On my lips I am wearing a Milani matte lipstick. My face make up is the new Catrice Even Skin foundation and Liquid camouflage concealer. 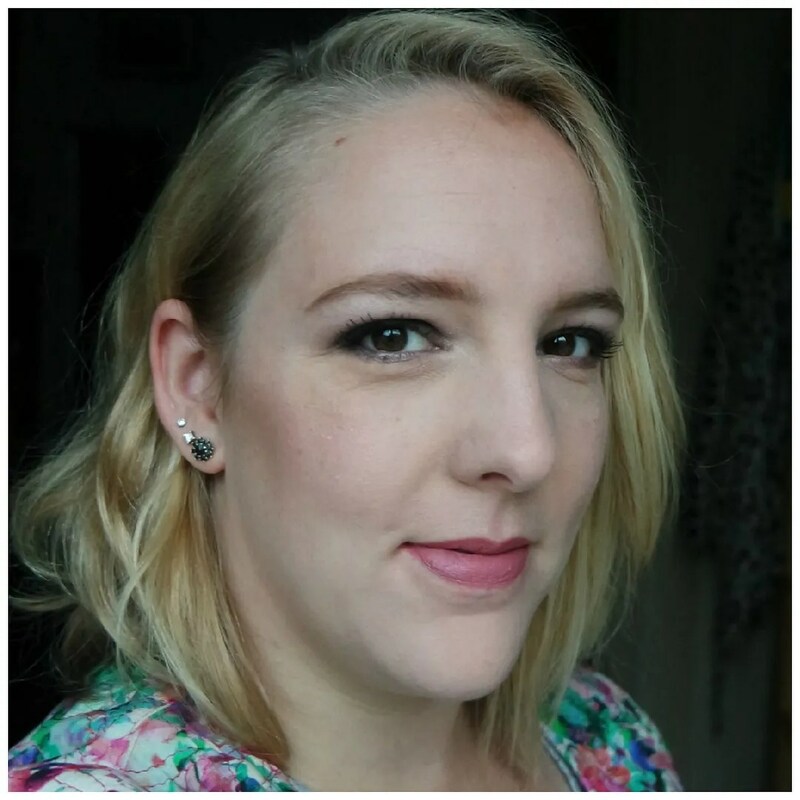 I warmed up my complexion using the Hourglass Radiant Light ambient lighting powder. My contour is NARS Laguna and I forgot what blush I am wearing here. Brows and mascara are both Maybelline. And this second more smokey look featuring one of my favorite shades in the palette. Other make up: I am wearing the same base and face products as in the first look. My lips is MAC Mehr. Brows and mascara is again Maybelline. My finishing powder here is Too Faced Primed and Poreless face powder. And the hair is less frizzy already! As you can see you can make some great eye looks with this. Other combinations I wore already: Mocha with Plum in the crease and outer V and Cocoa on the lower lash line and a more neutral look with Rosé all over the lid, Lt. Brown in the crease and Mocha in the outer V.
This palette is incredibly versatile, featuring some pops of color that make for neutral, yet slightly more interesting and different neutral looks from your average neutral eye shadow palette. The texture is soft and easy to blend, and the amount of fall out is minimal as long as you remember to tap off the excess. Yes, this palette is definitely a winner. What color would you want to play around with most?